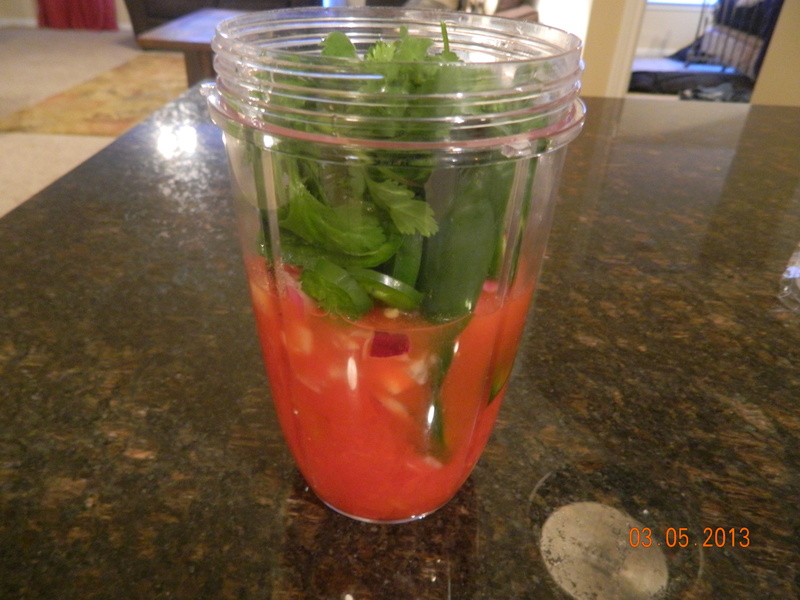 I love my Nutribullet. I have been making a smoothie every morning for breakfast since I got it. 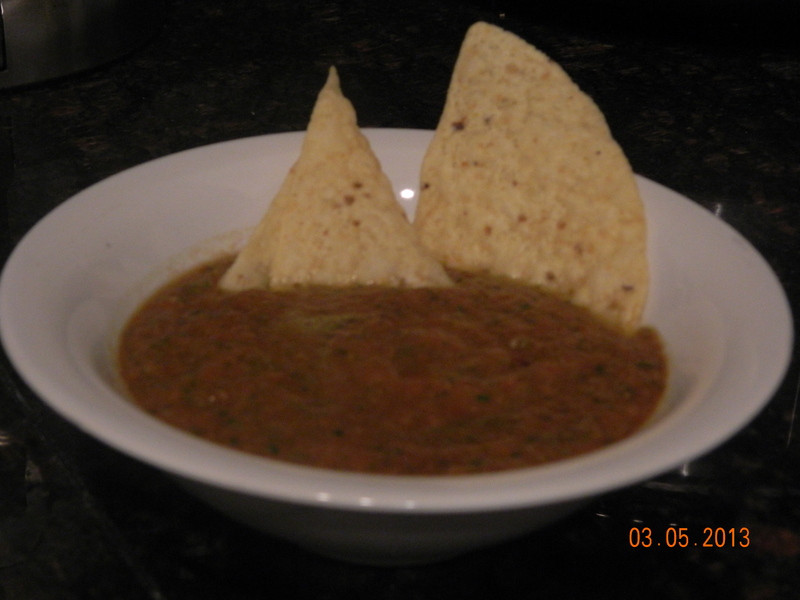 I have been wanting to try something different with it and decided salsa made the most sense for someone that craves chips all the time. This was really an easy recipe and a lot of fun to make. The salsa should last for at least 7 days, but I finished it in 2. Put the ingredients in the nutribullet and blend until you get your desired consistency. Pour in a bowl and enjoy with some chips! I like chunky salsa. Can you do that with Nutribullet? I don’t know! I think that it blends it too much.